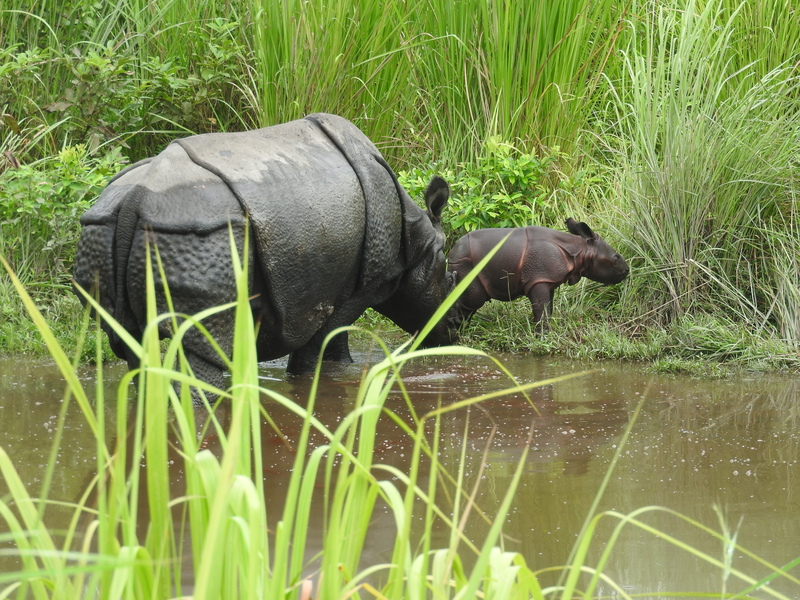 The birth of a rhino at the Manas National Park has brought hope for many who are working for establishing a viable population of the species in Manas . One of the female rhinos that was rehabilitated in the park has given birth to a calf. The mother and calf was spotted on 3rd September, in the Bansbari range of the Park. 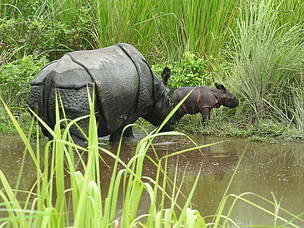 The rhino, fondly known as Jamuna, was rescued from Kaziranga National Park, raised at the Centre for Wildlife Rehabilitation and Conservation (run by WTI-IFAW and Assam Forest Department). She was then released in a boma (a specially designed enclosure to hold rhino) in Manas in 2008 for rehabilitation and finally released in 2010. The calf is Jamuna's second offspring, the first birth was recorded in July 2013. The birth of the rhino after a gap of about 20 months, the last recorded birth being December 2015 indicates that despite concerns due to poaching of matured bulls, the rhinos in the national park are breeding. The birth of the calf is being hailed as a success of the rehabilitation programme undertaken by International Fund Animal Welfare, Wildlife Trust of India and Assam Forest Department. A total of 18 rhinos were translocated to Manas National Park under the aegis of the Indian Rhino Vision 2020 programme (IRV 2020) - a joint initiative of the Department of Environment and Forests, Government of Assam, WWF-India, and the International Rhino Foundation. Conservation efforts under such programmes has led to successful re-introduction and subsequent breeding among the rhinos and as of today, there are 29 rhinos in Manas National Park, which includes 15 new births after translocation. 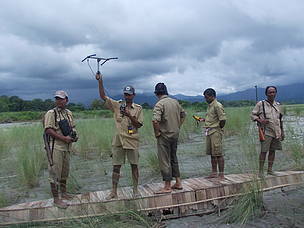 Translocation as a conservation tool to boost species numbers by establishing viable populations spread out in multiple locations is working in Manas and the programme has also helped in the revival of the park. WWF-India, as a partner of the IRV 2020 programme supports the Assam Forest Department in its endeavour to secure the future for Assam’s rhinos spread across different Protected Areas. 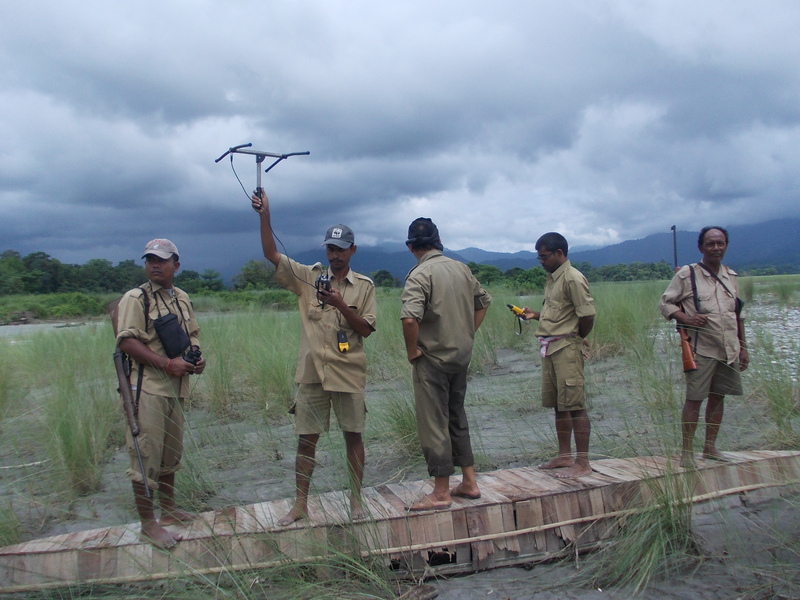 WWF-India along with partner organizations and the Assam Forest Department will facilitate maintenance of an appropriate habitat and security for the rhinos, and support regular monitoring in Manas.